This summer, a team of ZCEI members visited the school site. The school is taking shape as much work has been done over the past months. This semester we will have another raffle draw to raise funds and awareness for the construction project in Chisekesi, Zambia. The draw will take place on May 4, 2018 at 4:30pm. The location will be announced soon! Tickets will be going at only $10 per ticket. To buy a ticket, Venmo @Julia-Dormon with your net-id. 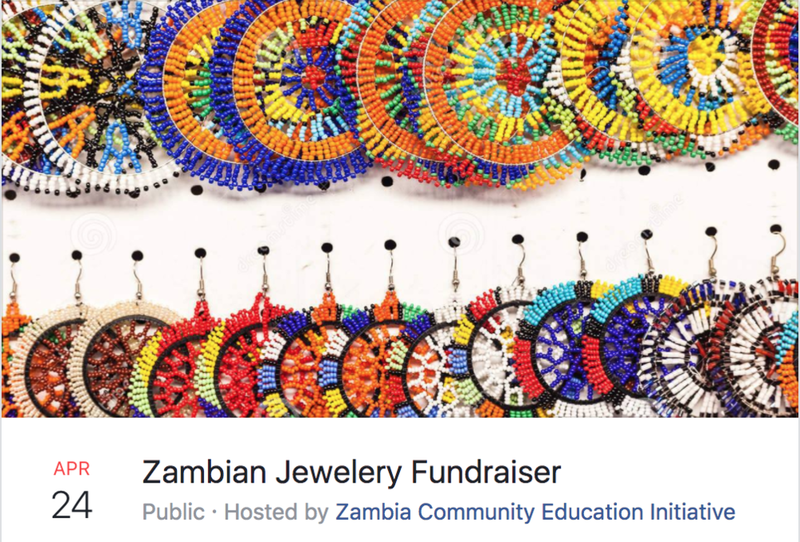 The Zambia Community Education Initiative will be hosting a fundraiser on April 24, 2018 from 11am to 1pm at Ho Plaza on Cornell's central campus. A variety of jewelry will be available for purchase and all proceeds will go to the secondary school construction project in Chisekesi, Zambia. 1. All 3 teachers' houses have been filled up and ready for the slabs now. 2. The library and the first classroom block are both at roof level and ready for roofing. 3. The box for the second classroom block is partially filled. 4. The footing for two more classroom blocks is currently being prepared. Thanks to the wonderful runners who joined us for the 5K Run for Change and a few other generous donations, we managed to raise $240 for the secondary school in Chisekesi, Zambia. The Barnes and Noble book fair held on Saturday March 18th was a great success. At the end of the day, we raised $675.00 for the School in Chisekesi, specifically the water project. You can still make a donation until Wednesday March 22nd. Just visit bn.com/bookfairs and enter Bookfair ID 12052478 at checkout. 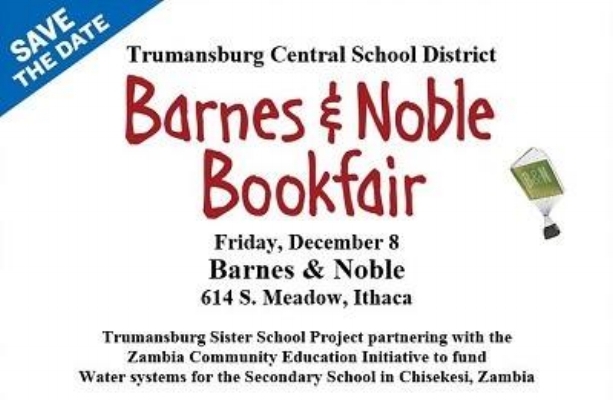 Stop by the Barnes and Noble Book fair in Ithaca on Saturday March 18. 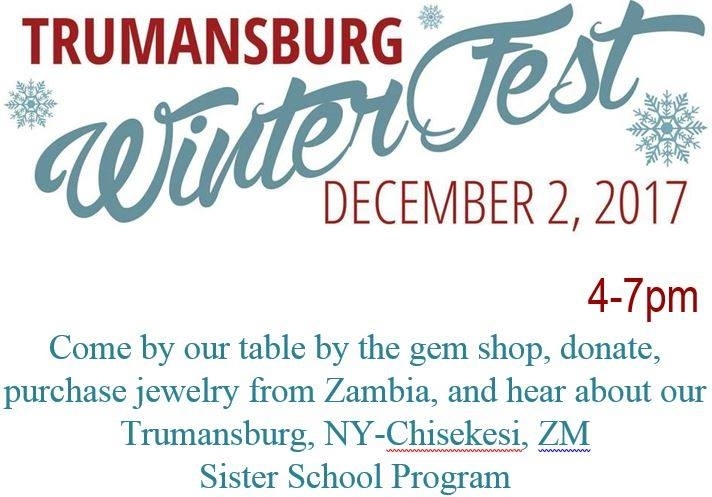 The ZCEI, in partnership with the Trumansburg Sister School Project, will be working to raise funds for water systems at the Secondary School in Chisekesi. On May 12th, 2017 at 6pm, Trumansburg Elementary school will be hosting a spaghetti dinner. Charges are: $5 per person. Funds raised from this event will be used for the installation of a water system at the Secondary School in Chisekesi, Zambia. 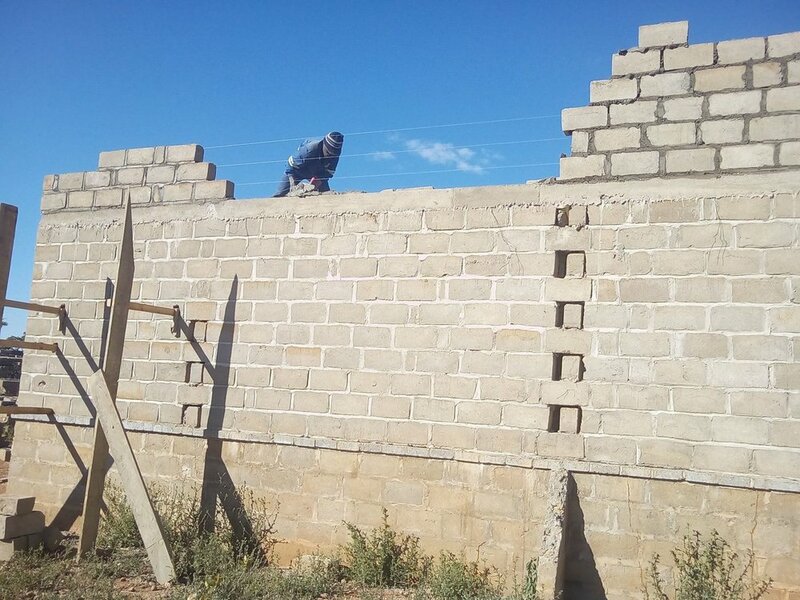 In the past few months, more construction work was done on the school project in Chisekesi. While one of the teachers' buildings was recently roofed, another one is currently being raised. We raised $2100 from the raffle tickets alone. In addition to this, Prof. Ndulo donated $500 to the project. Jeong Ran Kim, the first prize winner also donated the $400 cash prize. All this together with a few other generous donations brought our grand total to $3, 192. A team of ZCEI members travelled to Zambia in August. They donated much needed books to schools in Chisekesi and helped with the construction works on the classroom blocks and library among other structures. While in Zambia, they also visited some really cool places. Construction work on the school project continues. 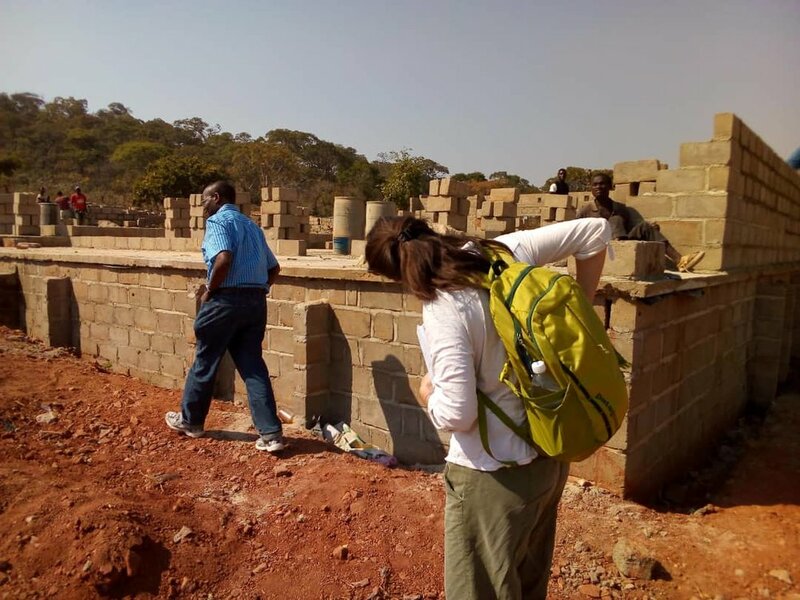 Here are some pictures that were taken by the group that travelled to Zambia in August to help with construction and interact with the community members. Students from the Trumansburg Middle School recently gave an amazing performance. The first song, bonse aba, is dedicated for our elementary schools in Zambia. We are excited to continue our partnership and will continue to collaborate as much as we can. More updates on the partnership will be posted in the future. More updates on the construction of school site! Despite the heavy rain reason, the construction is coming along nicely. Here are the pictures of the classroom and library. We are planning a group trip in early August to help with the construction and interact with community members. Please be on the lookout for more updates! Exciting update! The construction of school buildings has taken a big step forward. We are thrilled to announce that the community members are critical contributors to the construction. The community members are crushing the stones for building foundations and creating building blocks from donated bags of cement mix, water, and sand from the local river. We are hopeful that more progress will be noted in 2016. Please follow our Facebook page for more updates and pictures! 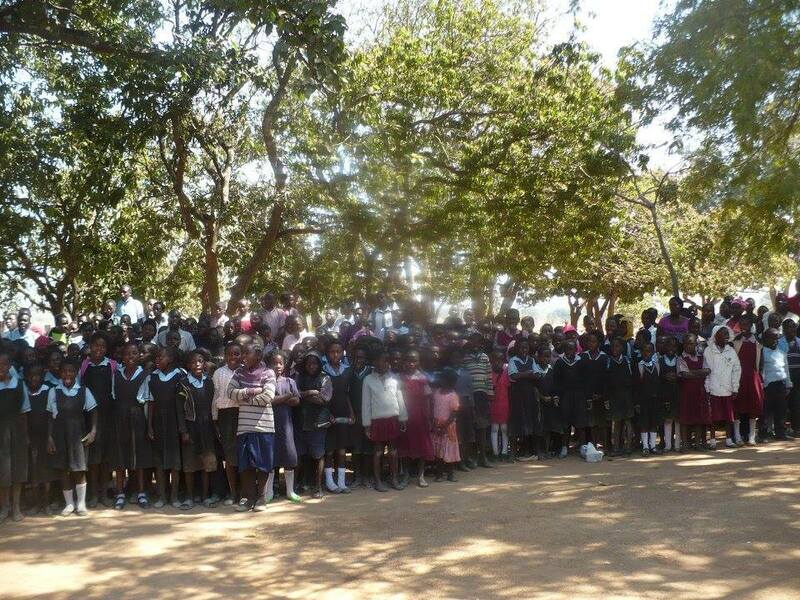 This past weekend, our members shipped laptops and nearly 1000 books to elementary schools in Chisekesi, Zambia! We collected books from local libraries and also received generous donations from members. The books vary from children's books to modern classic novels -- this is a great start to the expanding library at the High School, which is intended to be the first building opening. We hope to have more shipments of laptop computers to schools in the near future. For more updates and photos, please follow us on Facebook. 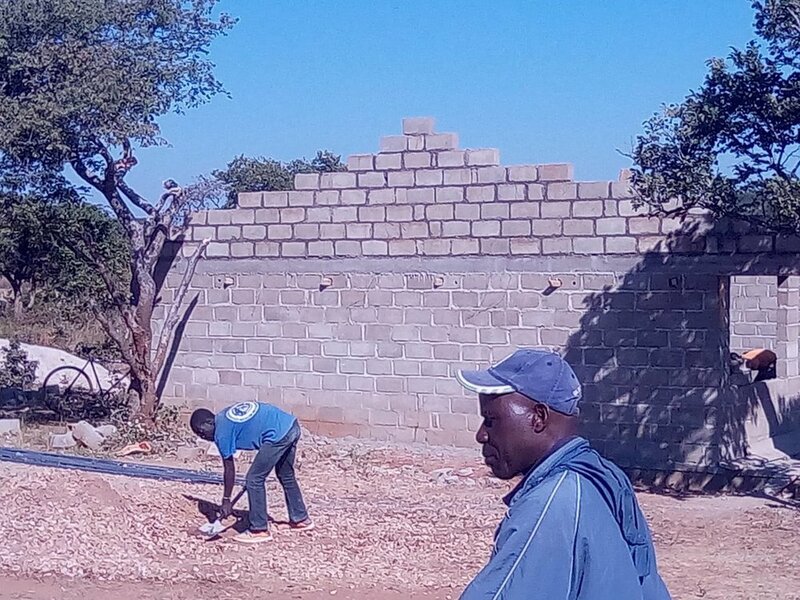 construction of the teachers' wing has begun! 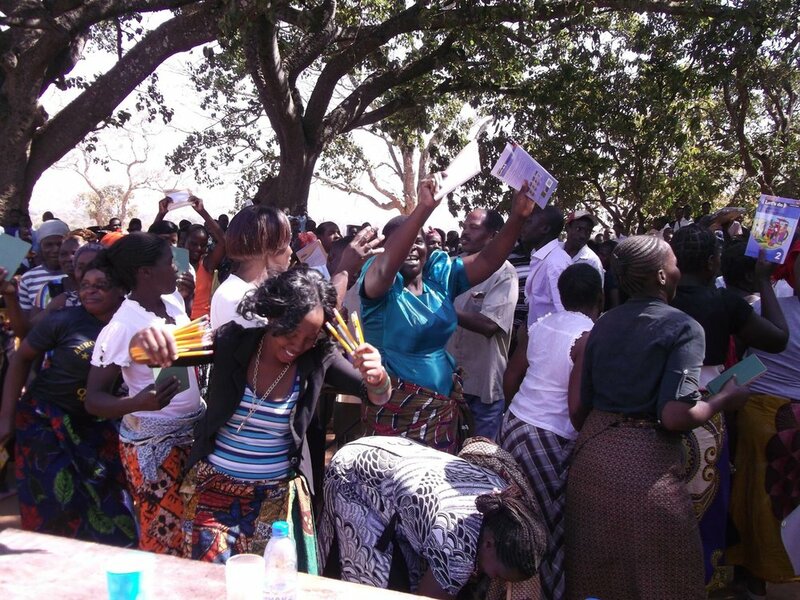 Exciting news from Zambia! Construction of the teachers' wing - the first official structure on our building site - has now begun. We could not be happier with the progress our project has been making, marked by this pivotal first step. Our club vice president and treasurer Olivia Lee, along with board members Al Heiman, Muna Ndulo, and Julia Leonard visited the site this week and have reported that construction is running smoothly and as planned. 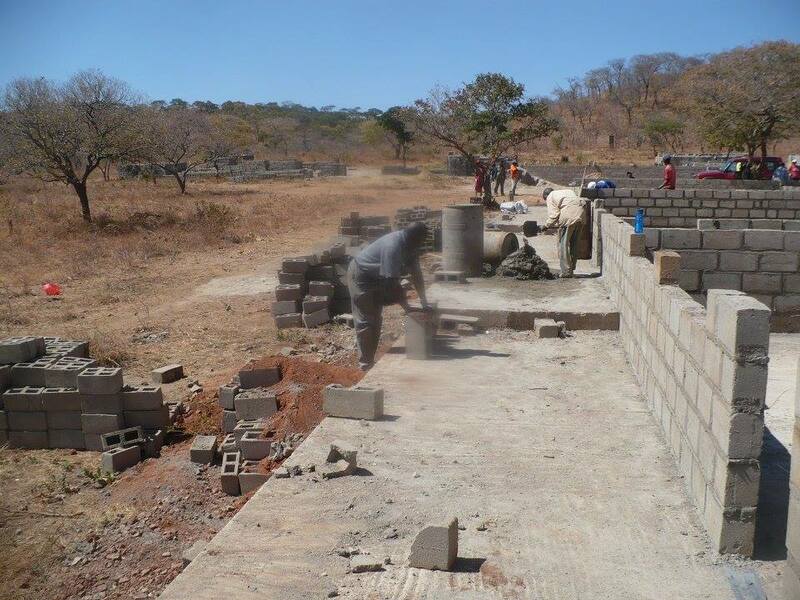 After many months of purchasing and making bricks, the local team is delighted to start construction. We would like to thank everyone for their continued support of our project - from Zambia to Ithaca and all the places our supporters are from, none of this could have been accomplished without you. For more updates and photos, please follow us on Facebook. ZCEI is proud to report that our second annual Run for Change 5K at the Cornell Plantations in Ithaca, NY has been another huge success. Thank you to all of the runners and the donors who made this event so great, and to the ZCEI team in Ithaca for organizing it all. We will see everyone at the Plantations next year! It has been a great summer for our project in Chisekesi, Zambia - a road between the school site and the nearby lake has recently been completed. This milestone marks the beginning of our actual construction, as the sand from this lake will be used to lay the foundation for our school structures. What was once an un-leveled pathway covered in rocks and branches has now become a passable road! Keep checking our website or follow us on Facbeook to get more updates about our project. 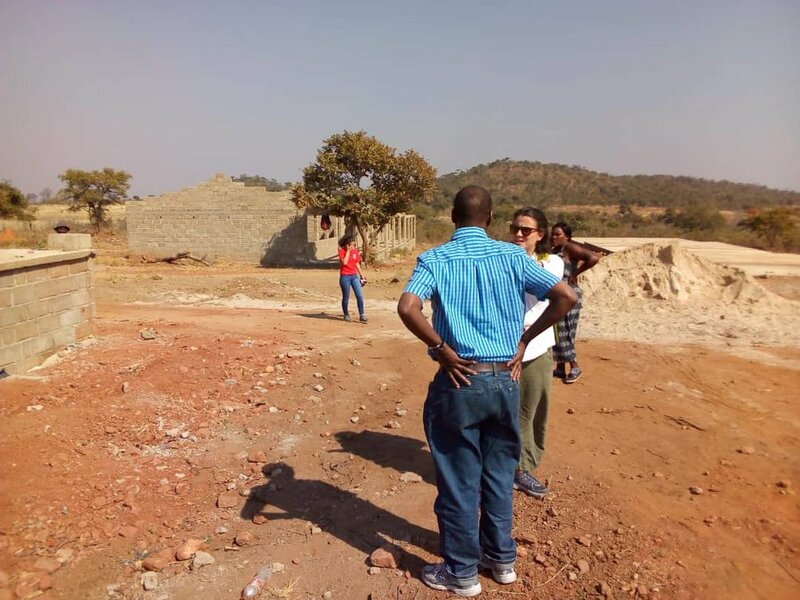 "...To strive to establish an effective and sustainable public education system with the community, through the community, and for the community of Southern Zambia that can function independently, while still maintaining ties to Cornell University."